What would you choose? A beautiful period property situated in a desirable location, or an ex-local authority in a block? A good question for those new to investment and seasoned investors alike. Most investors prefer one or the other, for different reasons. One may prefer ex-local authority for its better rental yield, and others capital gains from period property. Historically there has always been a trade-off. Is that still true today? 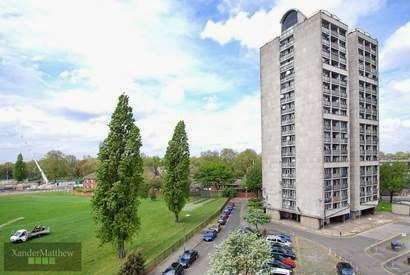 Flat 4 Selby House Oaklands Estate, SW4 8AN was sold in 2000 for 118,000 and then again in 2007 for £279,950. This represents an annual capital growth of 13.18%. (It had been sold prior to 2000 but this figure is likely to include the right to buy discount, so was ignored). Our comparison property: 16a Abbeville Road SW4 9NJ was sold in 2000 for 285000 and then resold in 2007 for 555,000, representing a capital gain of 9.99% annually. Both properties are 3 bedroom leasehold flats. It is very unusual to find that a purpose-built property that outperforms a period property over the same time period. On the face of it therefore the ex-local authority property seems to be a winner. But the real win here isn't just in the capital appreciation, there’s more. You see with a lower purchase price from the outset and similar rental yields the real reason that an ex-local authority flat is a sound investment is simply because you can buy more of them. You can buy 2.5 flats in Selby House with the deposit you were going to put down on Abbeville road. So not only are you winning by capital appreciation, you will be doing it at a rate 2.5x greater than the investor who chooses a period property. In the past period properties have outperformed flats in purpose-built blocks – but as the above illustrates this trend is coming to an end. With more first time buyers struggling to get on the housing ladder the demand for (relatively) cheaper homes has risen substantially. This increase in demand has led to a dramatic valuation increase for ex-local authority properties. Do bear in mind that the increase in valuation will only be capitalised upon re-mortgage or resale, and point to note is that period properties did hold their value better in the recession, but if you are not looking to exit the market in the next 10-15 years they are certainly a safe bet today. So next time you are looking at a period property for investment, think again. One period property for two ex-local authority properties. Double your winnings? I do believe so. If you are looking at a buy-to-let investment and need some assistance crunching the numbers do get in touch. I’m always happy to help and assist you source a viable investment in order for you to get the best out of the property market.